Synopsis: A meek hobbit of the Shire and eight companions set out on a journey to Mount Doom to destroy the One Ring and the Dark Lord Sauron. Viggo Mortensen, fluent in English, Spanish, and Danish, requested that the script be revised so that Aragorn said more of his lines in Elvish. Dominic Monaghan and Billy Boyd (Merry and Pippin, respectively) spent so much time on TreeBeard during the making of the film that they spent their time between takes writing a screenplay. It was so difficult to get them up to and down from their perches that they were left there during breaks while the rest of the crew went off for breaks. The Return of the King is one of 3 films to win a record 11 Academy Awards. It’s also one of the only multi-nominated films to win every single Oscar it was nominated for. It’s the second sequel to win Best Picture (the other being The Godfather: Part II), and The Lord of the Rings, collectively, is the second film franchise to earn a Best Picture nomination for every film in the series (the other being The Godfather trilogy). As of 2014, The Return of the King remains the only fantasy film to win Best Picture. The Fellowship of the Ring: GANDALF: Pity? It was pity that stayed Bilbo’s hand. Many that live deserve death. Some that die deserve life. Can you give it to them, Frodo? Do not be too eager to deal out death in judgment. Even the very wise cannot see all ends. My heart tells me that Gollum has some part to play yet, for good or ill before this is over. The pity of Bilbo may rule the fate of many. The Two Towers: GANDALF: Be silent. Keep your forked tongue behind your teeth. I did not pass through fire and death to bandy crooked words with a witless worm. The Return of the King: ARAGORN: My friends, you bow to no one. The extended scenes are so good that I can only watch the extended versions now. To go back to the theatrical versions… it’s just missing stuff. 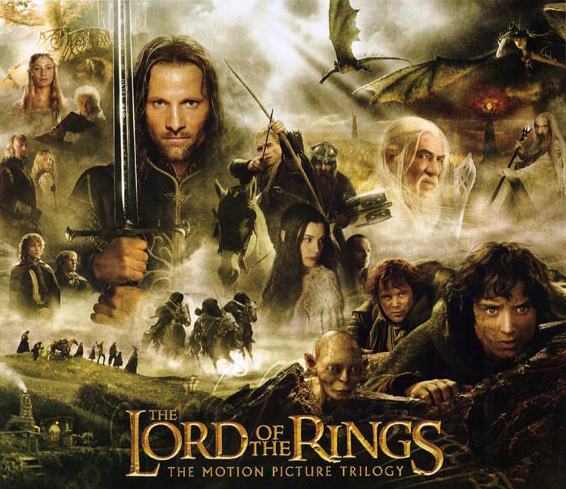 This film franchise set the bar high for not only fantasy films, but for cinema as a whole. Prior to The Lord of the Rings, fantasy films were corny and cheesy, with bad acting and poorly written scripts. But Peter Jackson’s magnum opus of cinema changed all of that. Together with Philippa Boyens and Fran Walsh, Jackson was able to beautifully adapt the works of one of the greatest authors in history. Then, with a superhuman cast, an indomitable visual effects team, high-calibre hair and makeup artists and costume designers, and a legendary musical composer, the likes of which directors only dream of, the world of Middle-Earth was brought to life in an array of stunning yet melancholic beauty. I confess, I haven’t actually finished reading The Lord of the Rings trilogy, but now that I’m older and have read 5 mammoth-sized Song of Ice and Fire novels, I can probably manage it with relative ease. My point here, being that if you want to know my opinions on what differed between the films and their source, I cannot give you one. And I don’t think I would either, because as I’ve grown older, I’ve come to realise that literally anything could happen in a novel, but sometimes those scenes must be altered to have a cinematic affect. And sometimes there are scenes that wouldn’t translate well to screen, so they do away with those entirely. Or for the sake of time, they might just do several things at once that spanned several chapters in the books. These films have always been a great inspiration to me with my writing and also with how I hope to make movies some day. And I try to pretend that The Hobbit fiasco never happened, so as not to taint the near-perfection of The Lord of the Rings with its hackneyed and overblown rubbish they called cinema. He should have left well enough alone with the masterpiece he had.